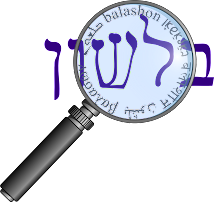 In our post discussing sochen סוכן - "agent" - I wrote that it "is connected to segan סגן - in Biblical Hebrew a government prefect, and later in Rabbinic Hebrew a deputy." While segan as "deputy" (or "vice", as in "Vice President" - סגן נשיא) is still used in Modern Hebrew, it was adapted for army use as segen meaning "lieutenant." This is an appropriate translation, as lieutenant originally meant "one who takes the place of another." Klausner (Ivrit Hachadasha U'Bayoteha, p. 191) thought that segen was the original pronunciation, not segan. Avineri (Yad Halashon, pgs. 403, 480) disagrees, writing that segen only appeared in piyutim, but segan was the prominent usage. He says that segen was adopted in the army either a) due to similarity to seren (see below), or b) to show that this was not specifically the position of a deputy, which segan indicated. Originally spelled סמ"ל and formed from the initials of the words סגן מחוץ למניין, corresponding to N.C.O. (= Non-Commissioned Officer); later the word סמל samal was regarded as a derivative of סמל semel. The word semel here refers to the Biblical word (Devarim 4:16, Yechezkel 8:3,5, Divrei HaYamim II 33:7,15) meaning "image, likeness", and in modern Hebrew "symbol". Kutscher writes that this mistaken derivation was due to an assumption that samal was inspired by the rank "ensign", which derives from a French word meaning "symbol". However, Kutscher finds that the earliest usage was indeed the acronym, and points out that if we have such a hard time figuring out the etymology of words that were coined in our generation, we should be cautious about guessing the etymology of words that were first used thousands of years ago. From semel we get the adjective simli סמלי - "symbolic" and the verb סמל - "to symbolize". However, neither the English words symbol nor similar are related to semel (they both have Indo-European origins, whereas semel is purely Semitic). However, it does appear to me that "symbol" has influenced the usage of semel in modern Hebrew. Likewise, the word signon סגנון isn't related to segan. It was borrowed from the Greek signum meaning "sign", and originally meant "sign, ensign, banner", and later came to mean "style, form, way".